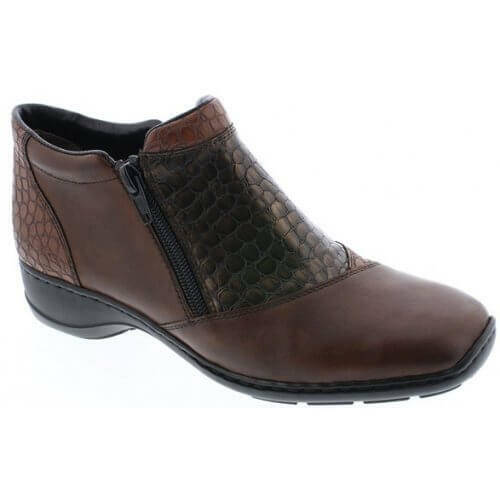 Rieker April 58359 women's ankle boot. 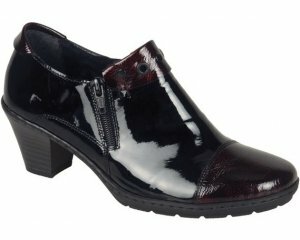 It features a smooth leather upper with mock reptile panelling and a padded ankle cuff. 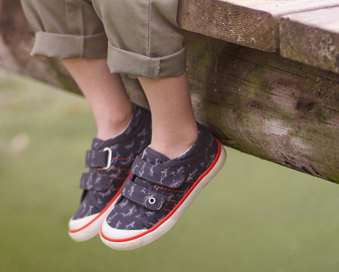 The zip fastenings allow the shoe to be slipped on and off with ease. 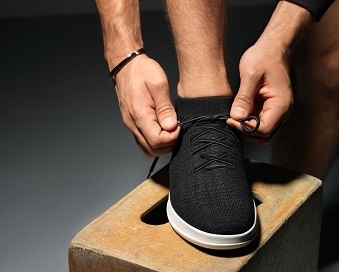 Great for those chilly winder days as the fleece lining will help keep your feet warm! Rieker April 58359 is available in tan from a size 36-41.